The 2015 Association of Tertiary Level Institutions of Belize (ATLIB) Regional Volleyball Tournament was held on Saturday, January 30th in Corozal Town. 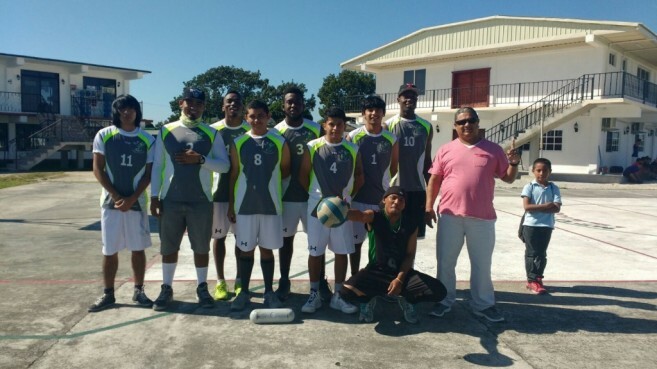 Female and male volleyball teams from the several junior colleges in northern Belize participated, including the San Pedro Junior College (SPJC) Male Volleyball team. At the end of the tournament, SPJC edged out their competition, earning the privilege to represent the north, along with the Centro Escolar Mexico Junior College (CEMJC) Female Volleyball Team at the ATLIB National Volleyball Championships. The tournament started at 9AM at the CEMJC campus, where the female host team easily defeated the opposing female teams from Corozal Junior College (CJC) and Muffles College earning them the ATLIB Regional Female Champions title. SPJC was also able to defeat their opponents from CEMJC, CJC and Muffles College easily in the first round of games. SPJC was left to face CEMJC in the final match where they won 2-1 sets (19-25, 25-21 and 15-8). SPJC and CEMJC will be representing the north at the ATLIB National Volleyball Championship scheduled to take place on Sunday, February 7th here in San Pedro Town at the Angel Nuñez Auditorium starting at 9AM. The other male and female teams competing at the Championship are University of Belize (UB), Sacred Heart Junior College (SHJC) and Saint John’s College Junior College (SJCJC). Everyone is invited to come out and support their SPJC volleyball team!